Each year, the GRAMMY Awards honor artists from various genres as they celebrate the year's biggest musical achievements. While on the surface, some of the musicians couldn't be more different, don't let their differences fool you. What sets musicians apart sometimes brings them together. 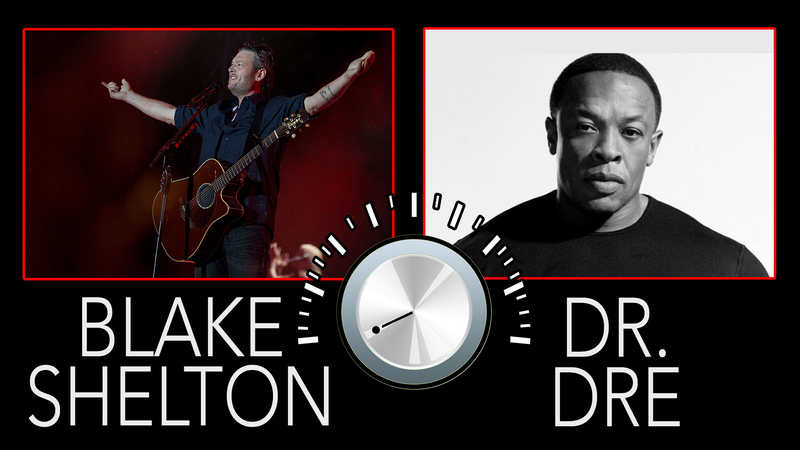 Take, for example, country crooner Blake Shelton, nominated for Best Country Duo/Group Performance, and hip-hop legend Dr. Dre, who's in the running for Best Rap Album. It might look like they don't have much in common, but looks can be deceiving.